Originally known as Deng Xiansheng and his school name Deng Xixian, Deng Xiaoping was born on 22 August 1904 in Guang'an County, Sichuan Province. In 1920, Deng left for studies in France. His six-year stay in France proved to be a turning point in his life. He met Zhou Enlai and other founders of the Communist Youth League in Europe, and joined the League in 1923 and the Communist Party of China (CPC) in 1924. 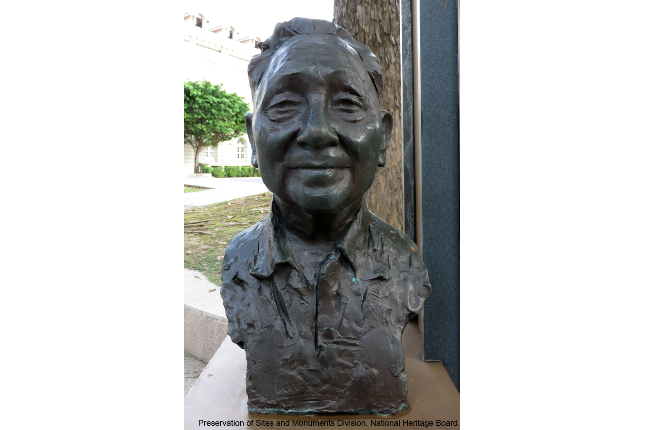 Deng was a staunch communist and a great patriot who aspired to achieve China's rejuvenation. On the domestic front, he implemented bold reforms. Internationally, he took steps to gradually open China up to the world. Deng's economic and administrative reforms were marked by pragmatism, and served the need for social order and a corrupt-free government. His pragmatic approach towards reforms is best captured in his own words, "It does not matter if it is a yellow cat or a black cat as long as it catches mice". He introduced the theory of socialism with Chinese characteristics. All forms of economic controls were relaxed and the first group of Special Economic Zones (Shenzhen, Zhuhai, Shantou and Xiamen) was initiated. These economic initiatives resulted in exponential growth for China. Internationally, Deng started China's closer ties with the world. Relations with the United States were normalised on 1 January 1979. - the frequent exchange of high-level visits, strong economic cooperation, and people-to-people exchanges. Deng passed away on 19 February 1997 at the age of 93. He is best remembered as one of the most successful statesmen of modern China, and the chief architect who transformed China into an economic giant.